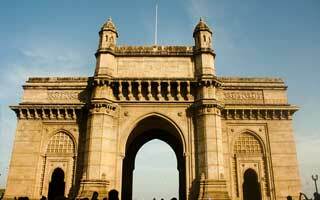 Experience two of the most iconic cities and cricket grounds in the world in Mumbai and Kolkata. In between, choose between a few days in Jaipur and Agra – home to arguably the most beautiful building in the world – the stunning Taj Mahal. Altenatively, take a few days of rest & relaxation on the backwaters of Kerala. Choose your UK departure point and airline. Fly direct from London Heathrow on Jet Airways, Virgin, BA or Air India. Depart on Emirates (via Dubai) from Heathrow, Gatwick, Manchester, Birmingham, Newcastle or Glasgow. Supplement may be payable. Upgrades to Business Class available on application. Transfer to the 5 star Trident Hotel, Nariman Point for check-in. Remainder of the day is ‘at leisure’ to recover from the journey. Today we take you on a tour of Mumbai, taking in majestic sights such as the Gateway of India, the Prince of Wales Museum, Victoria Terminus, the Hanging Gardens, Marine Drive and Chowpatty beach. Lunch is included. This evening we will host our ‘Welcome’ Cocktail Party. Canapés and drinks included. This morning we take a half day tour to cruise across the harbour to the UNESCO World Heritage listed Elephanta Caves which contain some of the most culturally important rock art in the world. 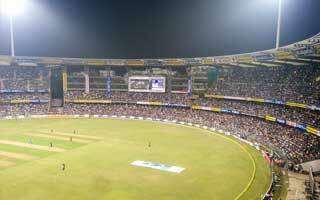 Last time England played a Test match at Wankhede, Andrew Flintoff led to the team to the famous ‘Ring of Fire’ victory. Can England play it again? 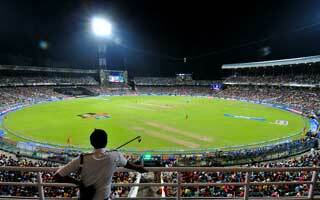 Mumbai is also the home of Sachin Tendulkar and it is an amazing atmosphere when he comes out to bat! Daily coach transfers included. After returning from the cricket, we will host a private ‘Cricket’ cocktail party where you will have the opportunity to hear the opinions of, and meet and chat personally with, our cricket celebrity guest. Fly from Mumbai to Jaipur. Transfer to the Marriott Hotel. The rest of the day is ‘at leisure’. Full day tour of Jaipur visiting the Amber Fort, City Palace, Jantar Mantar (Royal Observatory), and the Hawa Mahal (Wind Palace). Lunch included. 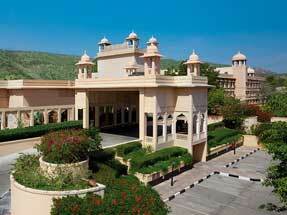 Depart Jaipur by coach to Agra. En-route, visit the ruins of the magnificent palatial city, Fatehpur Sikri. Lunch included. On arrival in Agra check into Radisson Hotel. 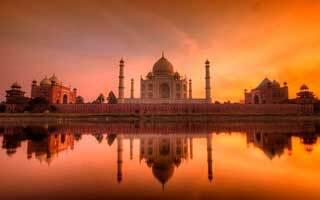 This morning we visit India’s most stunning icon – the magnificent Taj Mahal. Afternoon at leisure before returning to the Taj Mahal for sunset. After breakfast on the boat we head to the Coconut Lagoon resort in Kumarakom, where you will have plenty of time to enjoy the wonderful facilities including Ayurvedic therapies. Overnight stay. 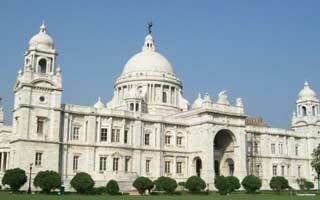 Free day in Kolkata. Optional cruise on river Hooghly. Transfer to the airport for your flight home. Arrive in UK early evening. 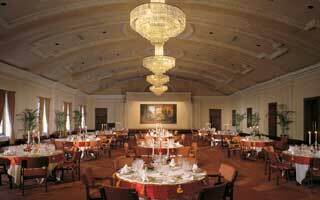 The Trident is a grand, contemporary hotel, superbly located on Mumbai’s famous Marine Drive, overlooking the bay. The hotel is within easy reach of Mumbai’s best tourist attractions, shopping, restaurants and entertainment options. 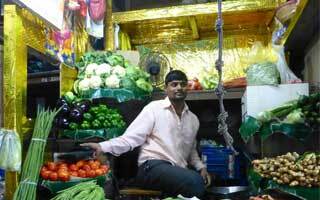 It is also within walking distance (20-30 minutes) of the Wankhede Cricket Stadium (although we will also include coach transfers). Upgraded Premier sea view rooms offer all the facilities you would expect of a top 5-star hotel such as wireless internet access, mini bar and tea & coffee maker. The hotel also features multiple restaurants, an outdoor swimming pool, spa and a state of the art fitness centre. 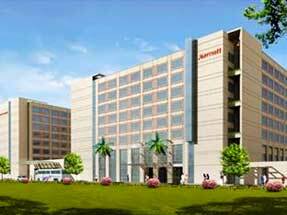 Located near to Jaipur Airport, the Marriott is just a short distance from the ‘Pink City’. This modern, spacious hotel offers a choice of award winning restaurants which include Indian and Italian. Other facilities include a swimming pool, spa, fitness centre and high speed internet throughout the hotel. Room facilities include coffee maker/tea service and separate bath and shower. 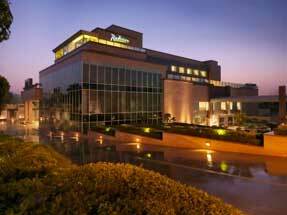 Set in 4.5 acres of land the Radisson Hotel is situated in the heart of the business and leisure precincts of Agra and is near the iconic Taj Mahal, making it an ideal place to stay. 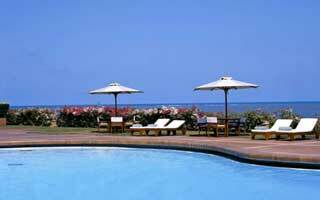 The hotel offers a choice of restaurants and bars and has a swimming pool, spa and fitness centre. All bedrooms have Wi-Fi and flat screen TV’s.